Lexie Diamond loves her computer. She loves to surf the Web more than anything else—and to the exclusion of a social life. Beyond being just a computer geek, Lexie has developed a unique philosophy that the essential truth about life is found on the Internet, which she navigates with the expertise and finesse of a true believer. 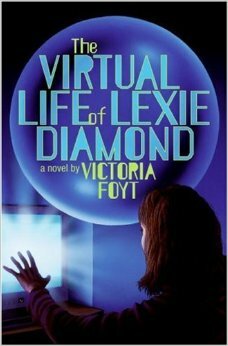 Then a tragic accident rocks Lexie’s cyber-driven world and forces her to navigate the real world after all. With the aid of an unexpected ally—her first actual friend—not only is Lexie drawn into a mystery surrounding the accident, but she discovers more magic in the Web than she ever dreamed possible. Along the way Lexie’s beliefs are challenged, her family is turned upside down, and her future is threatened. In this visionary tour de force by a promising new novelist, Lexie must decide what is real and what is virtual: Her life depends on it.